Curtis Packaging Co. is an environmentally sensitive company taking steps to minimize its impact on the environment. 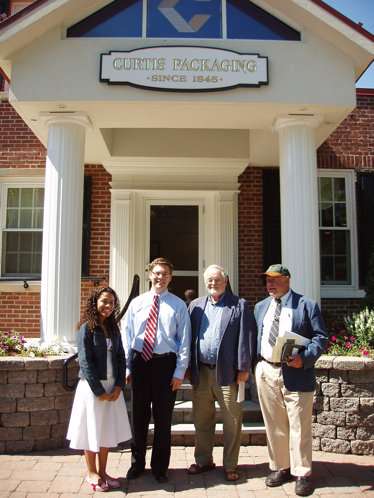 In October 2007, Curtis Packaging became the first 100% carbon neutral printing and packaging company in North America. Curtis Packaging partnered with Reforest the Tropics, Inc. (RTT) to establish a five-acre carbon-offset forest, which was planted in 2007 in Costa Rica. Shown above, Vice President Don Droppo (second from left) meeting with representatives from RTT to discuss the Curtis carbon-offset forest in Costa Rica. The Curtis Packaging carbon-offset forest is one of 41 forests currently under management by RTT. Curtis Packaging forest dated June 7th, 2011, when the forest was 3 ½ years old. Curtis Packaging forest dated June 7th, 2011. The five-acre forest is being established in cooperation with the Rojas Family, owners of Las Delicias Farm in Costa Rica. RTT is managing the Curtis project, which is designed to offset 50 tonnes of CO2 annually during a 25-year agreement with the farm. 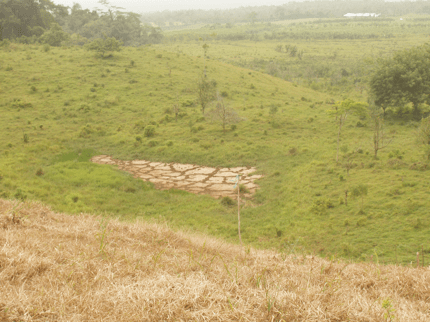 Shown above is the five-acre pasture in the Las Delicias Farm sponsored by Curtis Packaging for conversion into a carbon-offset forest. The photo was taken in August, 2007, just before planting began. The seasonally dry pond in the center of the photo will form part of the Curtis wildlife enhancement area. 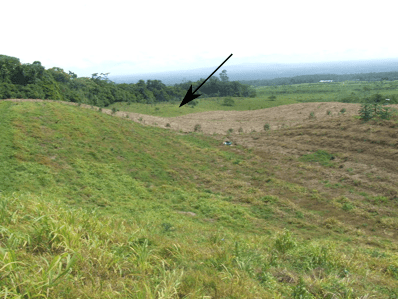 The photo shows that, prior to RTT’s reforestation efforts, very little carbon was sequestered on the site. As for all of RTT’s projects, the Curtis Packaging forest has “additionality,” i.e., the carbon sequestration via reforestation is additional to what would have occurred without RTT’s efforts. The photo above shows the site of the Curtis Packaging forest, indicated with an arrow, from a distance. In the foreground is another recently planted forest. RTT began planting the Curtis site in late 2007 with a specially designed matrix of tree seedlings, including Klinki, Mahogany, Eucalyptus deglupta, Pilon, and Chanco. Photos of the planted site will be available soon! The Curtis Forest serves not only to sequester CO2 in sustainable forests, but also to provide habitat and food for local wildlife. Curtis has also sponsored ¾ acre of trees and plants along side its carbon-offset forest to grow food for birds and other wildlife, part of the RTT/Curtis holistic forest model for managing with our US CO2 emissions. 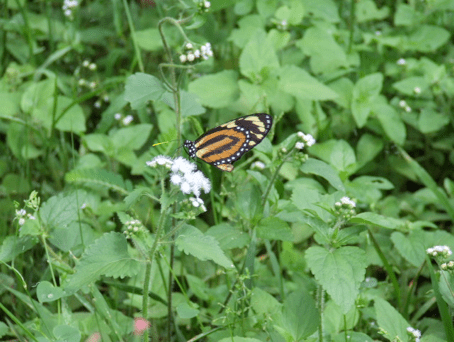 The photo below was taken on Earth Day next to the Curtis Forest, on April 22, 2008.